18,645 actions from members. 6,048 miles in a caravan. ONE Vote ’16. 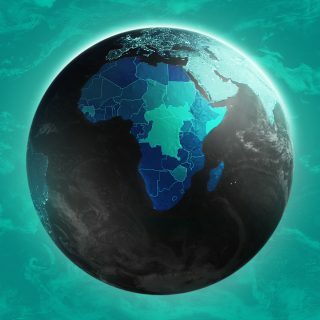 With the force of nearly 2 million ONE members in the U.S., ONE Vote ’16 set out to educate and mobilize voters to ensure that the next president and Congress would be committed to using the United States’ strategic power to help end extreme poverty and create a safer and more stable world. We knew the next president and Congress would take office at a critical time when there are effective and affordable solutions available that save lives: providing AIDS medicine that costs less than 40 cents a day; connecting smallholder farmers to markets to break the cycle of hunger and poverty; connecting millions of people with first-time access to energy that could open new doorways to education, healthcare, and job opportunities. Early in the primary season, we started a campaign to make sure that both parties’ candidates for President and Senate and House seats knew that ending extreme poverty was something that voters from red states, blue states, and those in between all agree on. ONE members sought out candidates at rallies, state fairs, town hall meetings, and campaign headquarters. 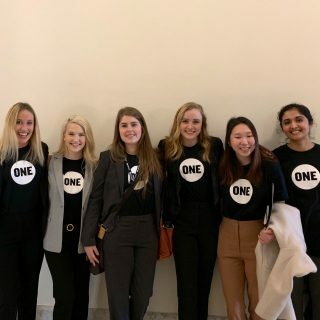 And because of those ONE members’ actions, we heard back from many candidates, including Hillary Clinton, Ted Cruz, Bernie Sanders, Marco Rubio, Mike Huckabee, Lindsey Graham, and Chris Christie. After a grand debut at the Republican and Democratic National Conventions in July, we used the ONE Vote ’16 Caravan to take the campaign across the USA… 6,048 miles, to be exact. 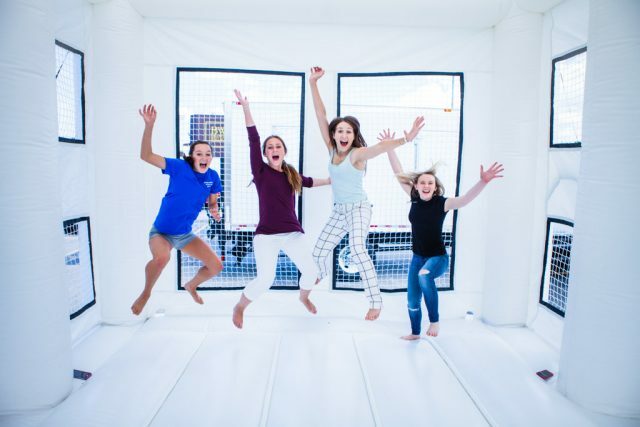 We stopped in key Congressional districts, battleground states, and even at the first presidential debate — with a White House bounce house, no less! 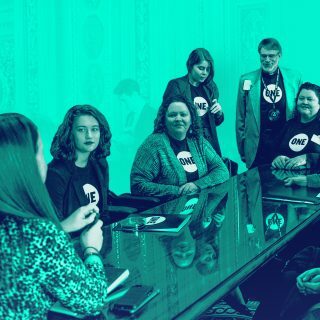 Throughout the election year, ONE members spoke out in force: Together, you all took 18,645 actions — from signing petitions and hosting events to mailing postcards and sending tweets — to make sure the candidates heard your voices. During this election, it was easy to feel divided on everything. But thanks to ONE members, one issue throughout the election brought Americans together — the fight against extreme poverty. 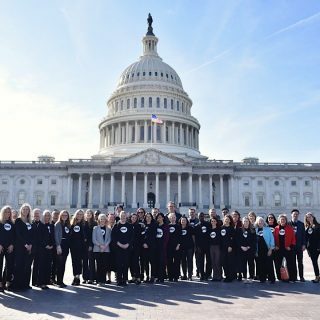 All of these actions have set us up well for working with the next administration and the next Congress to make real change for the world’s poorest people in the coming years – and we’ll need your help along the way to make sure they act. Become a more active part of our movement by joining your local ONE volunteer team today. ONE Vote ’16 is a non-partisan project of ONE Action.